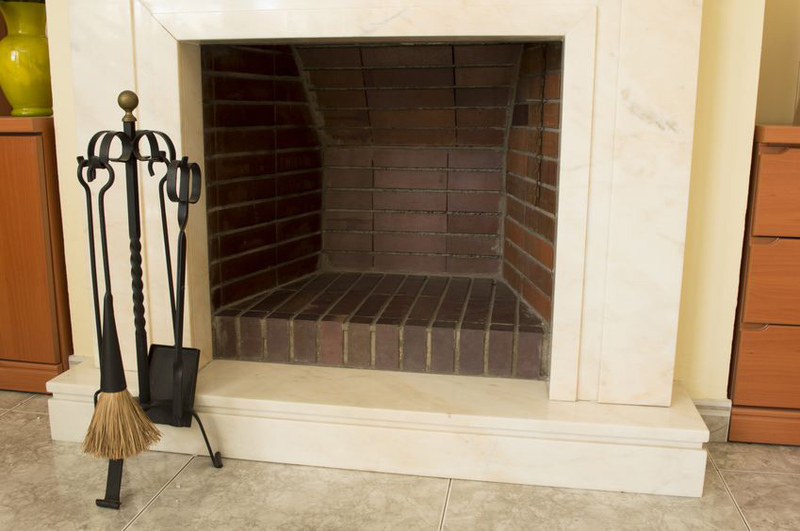 When the season for using your fireplace is over, or if you never use your fireplace at any time of the year, take a good look at it. 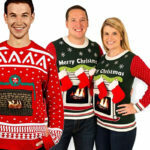 You’ll see an empty, ugly, black hole that is detracting from your décor. To make the fireplace an attractive focal point instead of an ugly one, put a fireplace candelabra in it and brighten it up with candle light. A lighted candelabra re-creates the ambience of a wood fire without the hassle of dealing with firewood and cleaning up after the fire goes out. 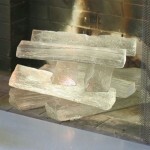 Just choose a fireplace candelabra of the right size to fit nicely inside your fireplace. 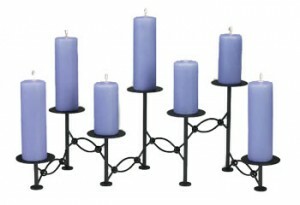 Select some candles if a color you like, with or without a scent, and put them in the candle holders of the candelabra. Light the candles and enjoy the gentle flames without the messiness of a wood fire. to this fire and light filled focal point with a fireplace candelabra. Your good taste and flair for décor will lead you to the right style, whether your taste is traditional or edgy. There’s an amazing variety from which to choose your fireplace candelabra. Many have a wrought iron look with a black or vintage iron finish. 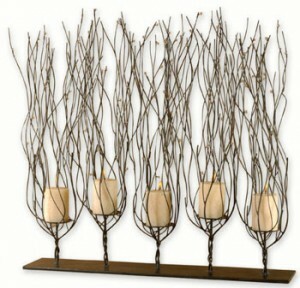 You can choose a candelabra that looks like a birch log or an arrangement of pine boughs. Stainless steel candelabra make a modern statement in your fireplace. 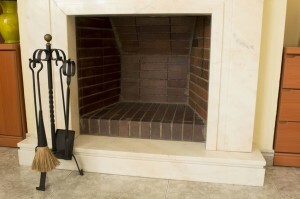 Some styles fill the firebox from back to front, while others are shallow for use in front of a fireplace grate or a gas log set. These narrow fireplace candelabra are perfect for zero-clearance fireplaces and for fireplace mantels. You can choose candles in a wide variety of shapes, sizes, and colors. While white and ivory are probably the most popular colors, candles for your fireplace candelabra are available in green, red, light or dark blue, burgundy, and purple. There are candles shaped like globes, like square or round pillars, or like cubes. Tapers can be used with some of the shorter candelabra. You can vary the candle colors you use for the different seasons and holidays. 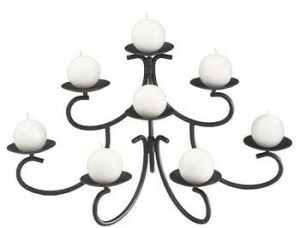 Some candelabra come with a set of candles, making them a wonderful gift that can be used right away. Houseplants like ivy or philodendron can twine around your fireplace candelabra for a completely different look. You’ll find even more ways to decorate your candelabra for special occasions, or just to make a change. When there’s a fire burning in your fireplace, it is a focal point that draws the eye– just the way you want it to. On the flip side, an empty fireplace also draws the eye because the fireplace is such a significant feature of the room. A candelabra with candles or plants transforms your fireplace from an eyesore to a decorating success. Re-energize your fireplace by putting a fireplace candelabra inside and lighting the candles.